Stock: 5 PU 50pcs. , Weight: 6 kg per PU 50pcs. 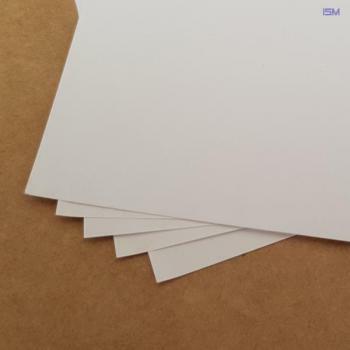 Art paper; White; 0,18x800x500mm; PU 50pcs. Stock: 10 PU 50pcs. , Weight: 3 kg per PU 50pcs.